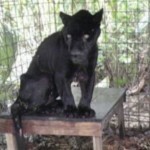 Two weeks ago, the Belize Wildlife Conservation Network (BWCN) was alerted that a black jaguar was in distress at the Ballum Na Resort in Punta Gorda. The jaguar was frail and deteriorating. 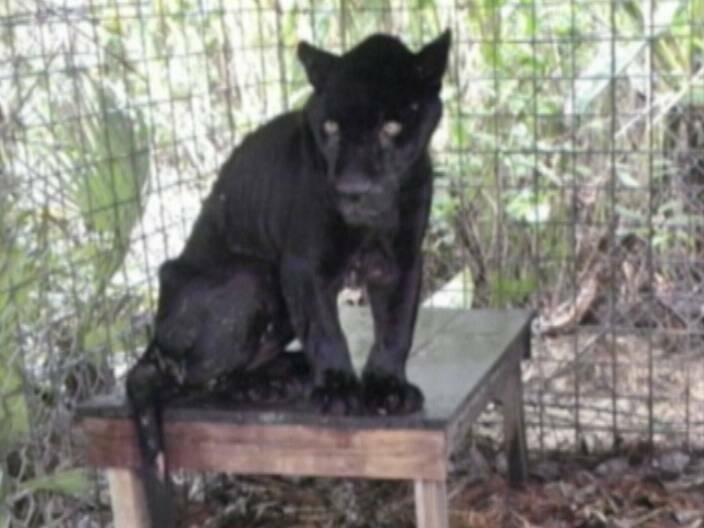 A second jaguar on the property had recently starved to death, so BWCN partnered with the Forest Department and the Belize Zoo to transport the jaguar to the zoo. 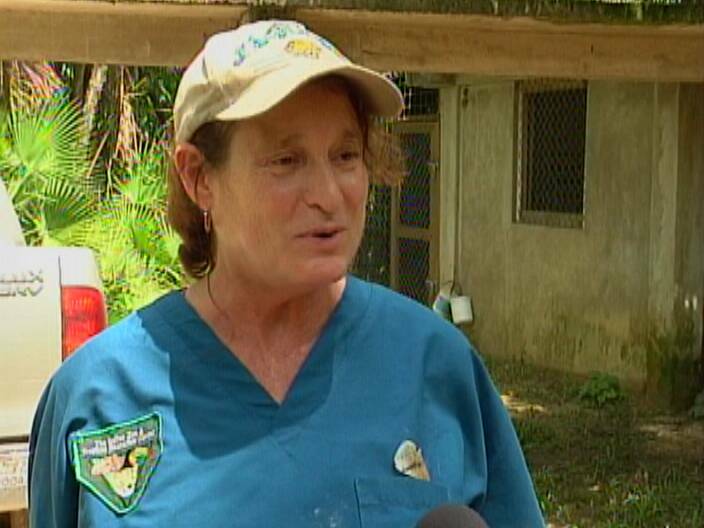 It was a perfect fit for the zoo’s rehabilitation programme which also facilitates studies by international researchers, who claim that the Belize zoo is the only place in the world where they can gather extensive data on the hormones, size/weight and color structure of the endangered species. It took some preparation but tonight, Bosch who is now re-named Lucky Boy, is on the road to recovery. 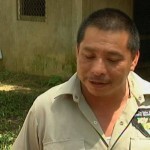 News Five’s Delahnie Bain visited with Lucky Boy today and has this report. 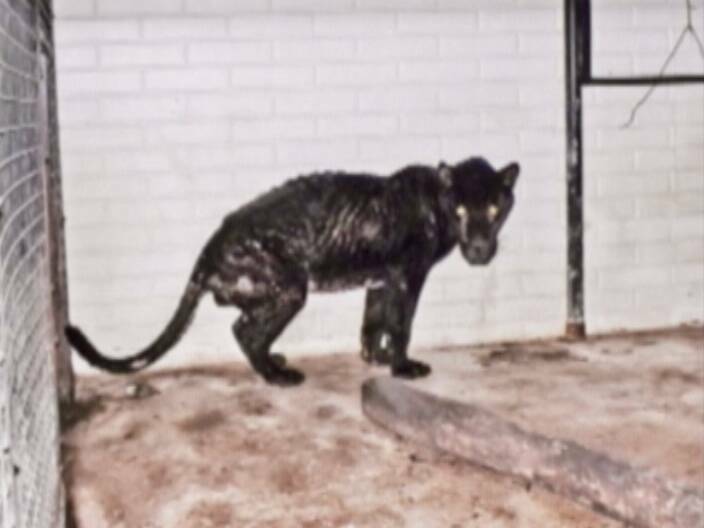 After being neglected and starved while in captivity in Toledo, this malnourished black jaguar was rescued last Thursday and is the newest resident at the Belize Zoo. 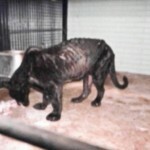 He was aptly renamed, Lucky Boy, since he was at death’s door when he was rescued. 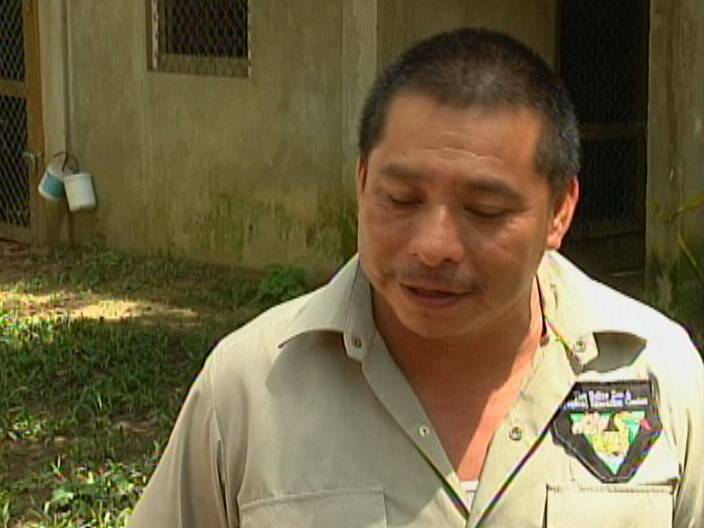 Animal Management Supervisor, Humberto Wohlers, was among the team that transported Lucky Boy from Indian Creek Village; he says the jaguar was so weak that they could not move him immediately and sedating him was too risky. Wohler says they made several stops on the long drive from Indian Creek to make sure the jaguar was okay. 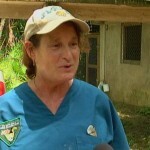 Six days later, he has settled in at his new home, and the Founding Director of the Belize Zoo, Sharon Matola has started the rehabilitation process. With advice from a wildlife vet, who specializes in big cats, Lucky Boy was placed on a special diet. But it will take months of work before this cat is ready to be integrated into the general zoo exhibit. Matola explains that Lucky Boy was at the Ballum Na Resort for at least ten years, but his temperament indicates that he was not always neglected. 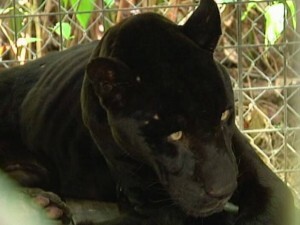 With the addition of Lucky Boy, there are now fifteen jaguars at the Belize Zoo, some of whom are still in rehabilitation. 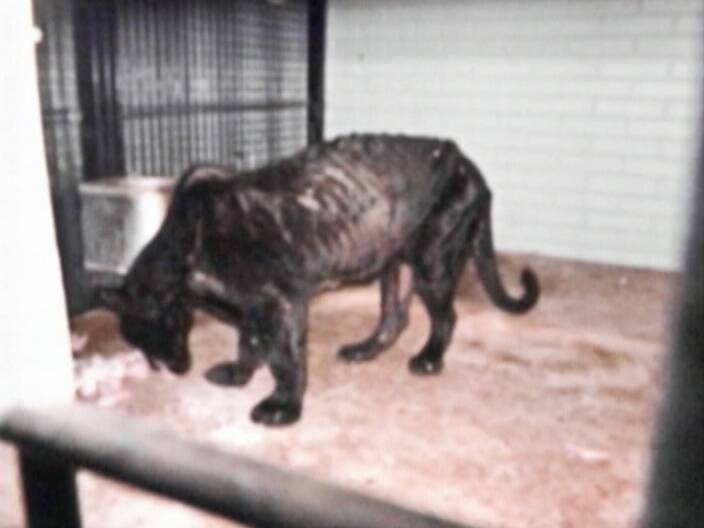 He is, however, the only black jaguar, since the one before him, Ellen, died of cancer in 2008. Delahnie Bain for News Five. 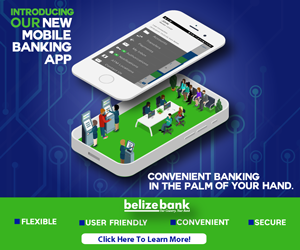 The Belize Zoo extends special thanks to Forest Officer, Jazmin Ramos, his intern Charles, Tony Garel and Vladimir Miranda who helped transport the jaguar to the zoo. A great effort in an important cause. Our zoo may be small but it is exceptional in every way. And to my mind, large black cats are among God’s most beautiful creations. At least, when they are healthy, sleek, and have good coats — hopefully Lucky Boy will get there soon! 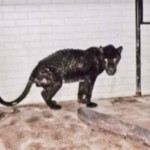 it looks like a friend of mine black and endangered…. yes black males either in captivity, slowing dying away or soon dead out.